New York City Diamond District Jeweler specializing in fine diamond engagement rings, wedding bands, designer jewelry, platinum jewelry and antique style jewelry. You’ve found the one, and are now on the hunt for the ring. Ring shopping can be an overwhelming task for many soon to be engaged couples. You may have already heard some terms thrown around referencing parts of a ring such as head, shank, and shoulders. By familiarizing yourself with the anatomy of an engagement ring, you’ll be better equipped to find the best ring within your budget. View the infographic below to learn about the various components that contribute to a ring’s beauty, style and price. This is where you’ll find the center stone – most often the largest stone on the ring. The head normally consists of one mounted stone, called a solitaire, or three stones – large center and accent stones on either side. The head could also contain other additional small stones referred to as accent stones. The most common type of setting is known as the prong. Prongs refer to the “claws” that hold the center stone in place on the head. Most rings will have four or six prongs, double prongs set side by side or chevron prongs(also referred to as v-prongs). 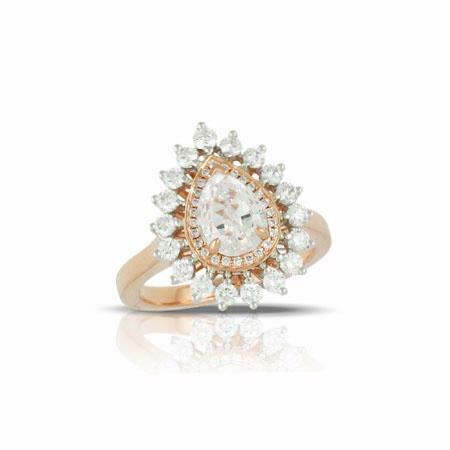 Other trendy styles include halo and double halo which create a great amount of sparkle. The part of the ring that wraps around the finger is referred to as the shank. The most popular style is the tapered shank, which gets wider (or narrower) as it approaches the center stone. Cathedral shanks have arches that rise from the main part of the band to support the center stone. Other styles include split shanks and European shanks which add intricacy to a ring’s design. The shoulders of a ring help display and protect the center stone. They consist of one or multiple adjoined components that connect the shank to the setting. 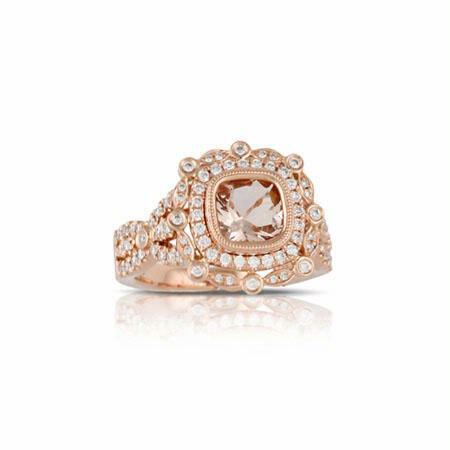 A ring’s shoulders can range from simple designs for solitaire rings to quite elaborate for vintage styles. Details will often consist of engravings, intricate scroll-work or accent stones to maximize sparkle. 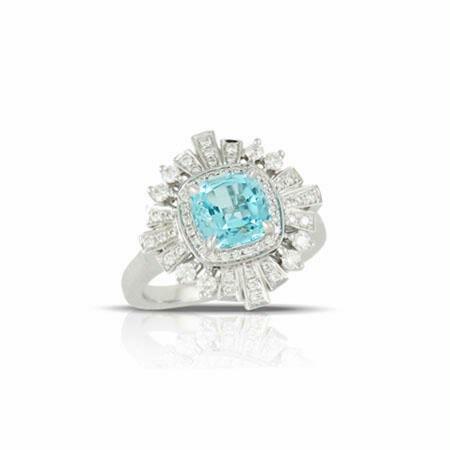 The setting defines the finished look of the ring and should display the stone in its “best light”. It also secures the center diamond in place. The most popular setting styles include prong, bezel, channel, pave and contour. Prong is the most common as mentioned above and contains small claws that hold the diamond in place. The contour setting has rising slopes of metal, while the bezel has a band of metal that secures the center diamond in place. The channel setting holds a row of diamonds together within two walls. The pave setting features a seamless display of small diamonds without any metal or prongs showing. Now that you’re familiar with a ring’s anatomy, view our collection of engagement ring settings to get inspired! Christopher Slowinksi, founder of Christopher Designs recently sat down for an interview with CNNMoney’s Alison Kosik. 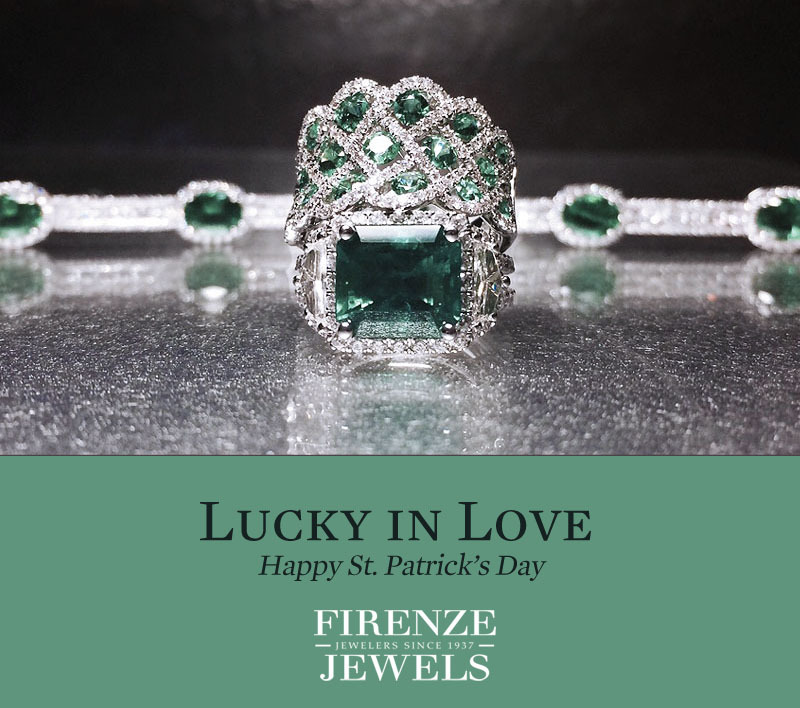 The segment shines a spotlight on the designer’s latest L’Amour Crisscut collection in which the diamonds look 40 to 50 percent larger than comparable emerald cut stones. In the video, Mr. Slowinksi reveals how his signature Crisscut came about through a set of mishaps in his headquarters located in New York’s Diamond District. “I created something special right now, because it’s a bigger look for less money”, says the designer. Using a $1 million 10 carat diamond ring as an example, he explains how the look of a L’Amour stone is achieved by creating a larger and more brilliant surface area. 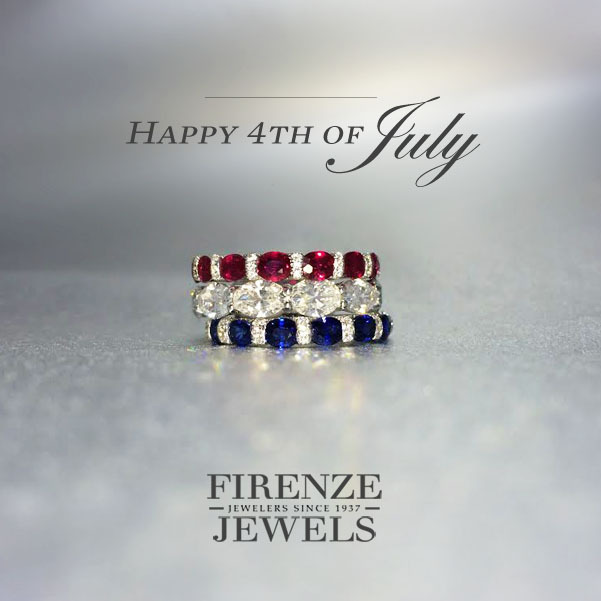 Firenze Jewels is an authorized Christopher Designs retailer. To learn more about Christopher Designs or the L’Amour Crisscut collection, please contact one of our diamond jewelry specialists. We are so honored to win both TheKnot Best of Weddings and WeddingWire Couples’ Choice Awards 2016 in New York, NY! 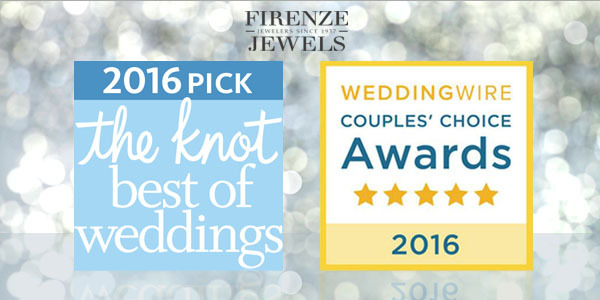 This is the second consecutive year Firenze Jewels has been selected by TheKnot and the third year we have been named as winner of a prestigious WeddingWire award. In 2016, only 2% of the 250,000 local wedding professionals listed on TheKnot.com have received the distinguished Best of Weddings accolade. To determine the winners, The Knot assessed almost one million reviews from real couples across the various vendor categories—jewelers, venues, florists, photographers, caterers and more. These winners represent the best of the best for wedding planning professionals that a bride or groom would want to consider order to inspire, plan and pull off their own unique wedding. The WeddingWire Couples’ Choice Awards® 2016 recognizes the top five percent of more than 400,000 wedding professionals in the WeddingWire Network who demonstrate excellence in quality, service, responsiveness and professionalism. The esteemed awards are given to the top local wedding vendors in more than 20 service categories, from wedding venues to wedding jewelers, based on their professional achievements from the previous year. We want to give big thank you to all of our clients who wrote such wonderful reviews! Fall is upon us, and this means engagement season is close behind. For those venturing into the world of diamonds for the first time, many will find buying one can often be an intimidating process. The initial step usually entails familiarizing yourself with The Four C’s (Color, Clarity, Cut, and Carat Weight) and how these characteristics are used to determine a diamond’s worth. Once you’re well versed on the fundamentals, the question then becomes: “How do I find the best value within my budget?”. To answer that, we’ve put together the following infographic below providing a refresher on the Four C’s as well as tips to finding the “sweet spot” in each category in order to save a considerable amount without sacrificing on a stone’s visible quality. More expensive diamonds have little to no color. A diamond’s color is graded using a system of letters. A higher letter means that the diamond has less color. D – F diamonds are considered colorless or near perfect. While diamonds in the G – J category are those that are near colorless. If you’re on a budget, find a diamond that sticks to the G – J category. The difference is often negligible and you’ll end up saving a small fortune. Most diamonds come with natural blemishes, inclusions, or a general cloudiness. Clarity refers to the lack of these inclusions. The higher the clarity, the fewer the marks. Clarity grade ranges from FL, a perfect diamond, to I3, obvious, visible inclusions . If you go for something between VS2 and SI2, you’ll save quite a bit of money without a noticeable difference to the naked eye. The cut of a diamond refers to its proportions and finish, both of which are used to capture and reflect light. It’s difficult to budge on a diamond’s cut. Lower cut diamonds will drastically decrease the visible quality. You’re better off spending more money on a higher cut diamond and saving as much as possible on the other C’s. The weight and size of a diamond is measured in carats. However, it’s important to note that prices increase significantly at every whole carat. For diamonds under 2.00ct, they also increase greatly at every .50 carat. As an example of how one can save, shoot for a diamond that’s just less than 1 carat, such as .9 carat or .85 carat. You’ll be able to trim the total price without a visible difference. On a side note, the shape of a diamond can also help you get the most out of your money. Fancy shaped diamonds or those with geometrical shapes will make your diamond look larger than round diamonds. Additionally, if you invest in a ring setting with a halo, your diamond will look larger and more brilliant.